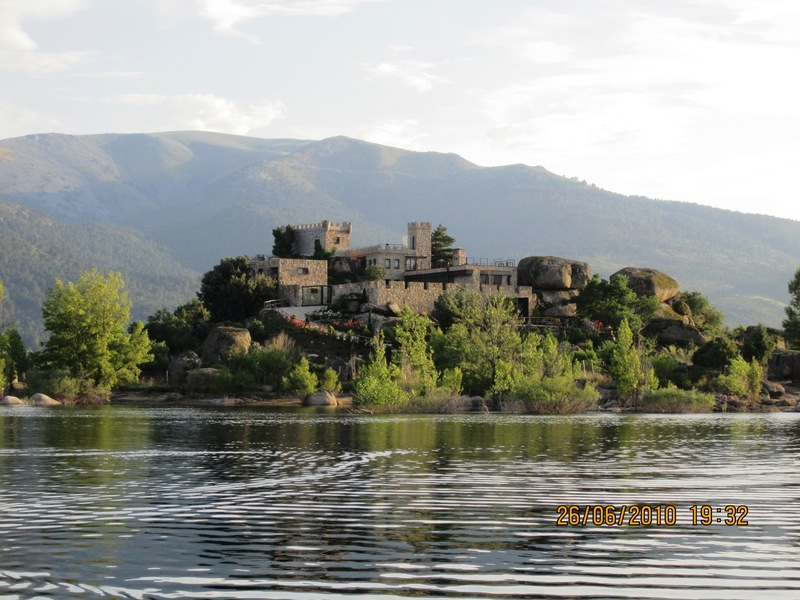 One of Spain’s most unique private castle islands has entered the market for a tempting EUR 3.5 million, presenting one lucky buyer the rare opportunity to truly live like a king. 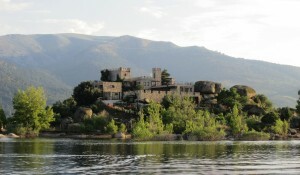 Now this is what Private Island News call a once in a lifetime opportunity – the owners of Isla Centinela, one of Spain’s most picturesque private castle islands, have placed their regal retreat up for sale for the very tempting price of EUR 3.5 million, presenting private island owners the world over with the rare opportunity to truly live like a king. Located in the province of Ávila, just one hour away from Madrid, Isla Centinela (Sentinel Island) is spread out over a spacious 10,000 m² surface area and forms home to a jetty, a series of terraces and a wonderful walled castle – which, constructed in 1927, forms one of the region’s oldest buildings. Indeed, in spite of its rustic exterior, Isla Centinela is in fact a thoroughly modern private island escape, with recent renovations ensuring that all electricity consumed on the island is provided by a series of state-of-the-art solar panels. Most recently used as a hotel, the castle is without a doubt the stand-out feature of this remarkable private island and comprises of a multitude of spacious bedrooms (with space for up to 34 guests), a grand 150-seater banquet hall, a fully-equipped gym and imposing battlements that boast spectacular views of the surrounding scenery and the rare local wildlife (such as the black vulture), that call the region home. Situated in the midst of the Valle Iruelas Nature Reserve, the island boasts all the peace and quiet you could wish for and more, whilst still being conveniently close to the bright lights of the capital and the fabulous amenities of nearby Navaluenga – a magnificent municipality famed for its golf courses, natural pool and internationally recognized vineyards and wineries. Furthermore, the exotic island hideaway can even be accessed via car for six months of the year, when the surrounding Burguillo swamp dries out during the hotter summer months. Throughout the rest of the year, the island’s private jetty ensures that the owners and their guests can come and go as they please by boat. Whilst arguably one of the most beautiful, Isla Centinela is by no means the only private island / castle combination currently on the market. Something of a specialist when it comes to private castle islands, Hamburg-based island broker Vladi Private Islands currently counts the stunning French Chateau Castle Island amongst its incredible portfolio as well as a range of rental islands, such as Singer Castle on Dark Island (USA), Waterford Castle Island (Ireland), Costaérès (France) and more. Stay tuned for a run-down of the world’s most breath-taking private island castle retreats – coming soon to Private Island News.